Feel naturally protected from the sun's harmful rays with our NEW range of Organii Sun Creams specially formulated for use on all skin types including sensitive skin. The Organii Sun Milk SPF50 has a high protection for use on individuals which are prone to burning especially childrens delicate and sensitive skin. 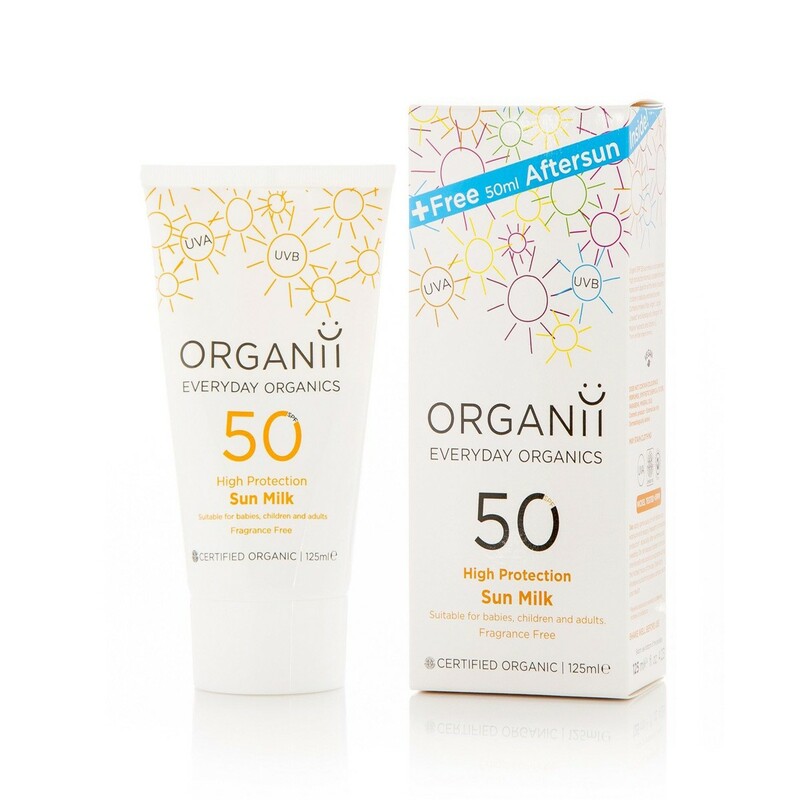 The Organii Sun Milk SPF50 contains ingredients including Argan and Jojoba which help to nourish the skin whilst Pongamol protects your skin from UVA and UVB rays.